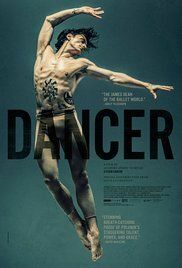 The Dancer (in French: La Danseuse) is a 2016 French biographical musical drama film directed and written by Stéphanie Di Giusto and co-written by Thomas Bidegain and Sarah Thiebaud, based on the novel by Giovanni Lista. The film stars Soko, Gaspard Ulliel, Mélanie Thierry, Lily-Rose Depp, François Damiens, Louis Garrel, and William Houston. It was screened in the Un Certain Regard section at the 2016 Cannes Film Festival. Read more on Wikipedia.